How often do you get to experience true and honest hospitality these days? Most vacations are spent in impersonal, anonymous, big-chain hotels. Sure, I’ve had a lovely host family in an Airbnb in Melbourne once, but it’s far between such treasures. 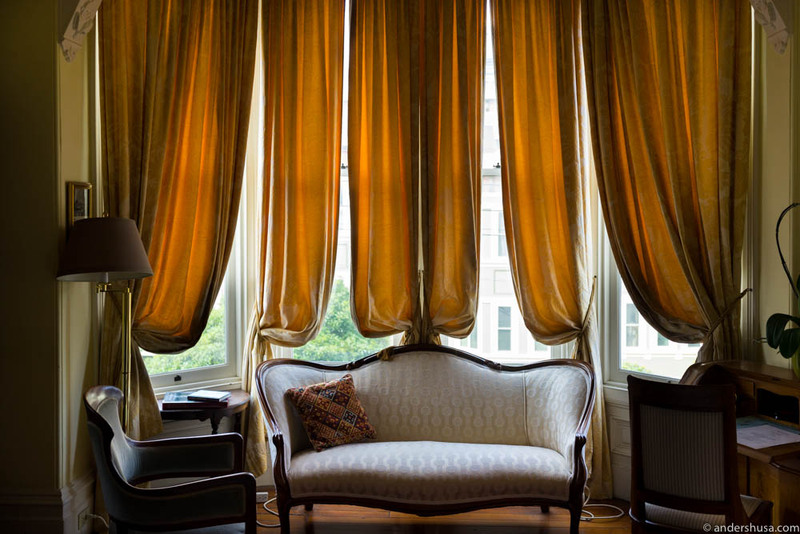 We discovered a gem in San Francisco, though – The Parsonage. A small, family-run bed & breakfast. The only place we’ll ever stay when visiting the San Francisco Bay Area. 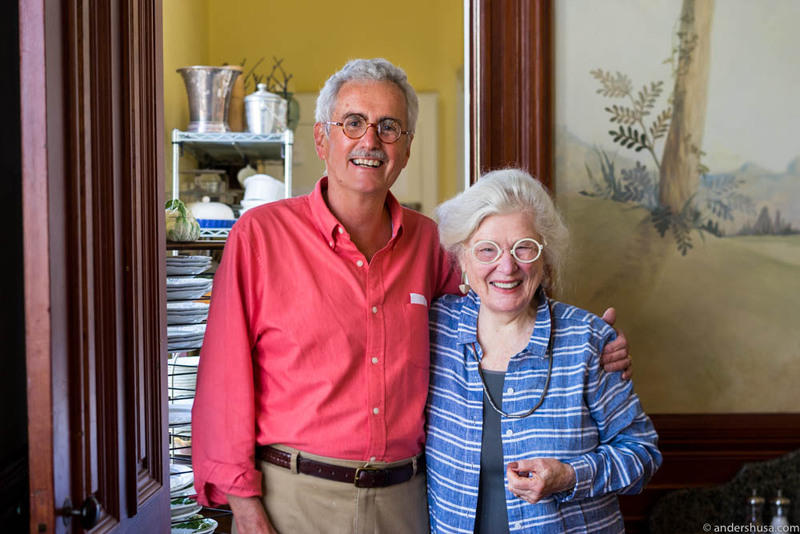 Joan and John have spent their lives traveling the world and they know every inch and corner of San Francisco. Together with their daughter Laura, her family, and the two dogs Cooper and Carson, they all live at the Parsonage themselves. Laura welcomed us when we arrived – one day late thanks to a snowstorm that hit Oslo airport by surprise. She showed us around the premises. 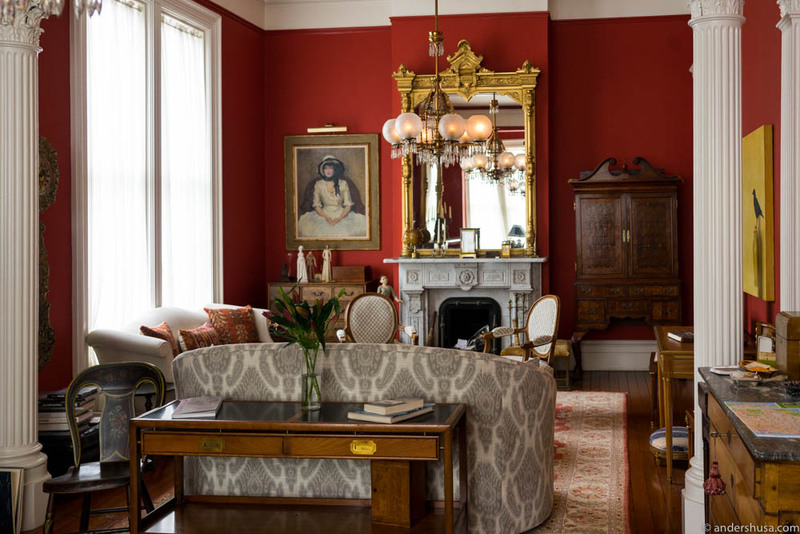 We stumbled upon the Parsonage while researching San Francisco and completely fell in love with the pictures we saw on their website. Each room at this B&B has an individual design (and a private bathroom). Two of them, in particular, made an impression on us. Luisa Tetrazinni on the second floor has a large west-facing window with heavy, floor-to-ceiling drapes and looks like a wonderful space to wake up. However, we got the other room that touched our hearts – Alma Spreckles. Situated on the top floor with a four-poster bed, a working fireplace, a marble shower and a large, claw-footed bathtub. Ready to explore the city! 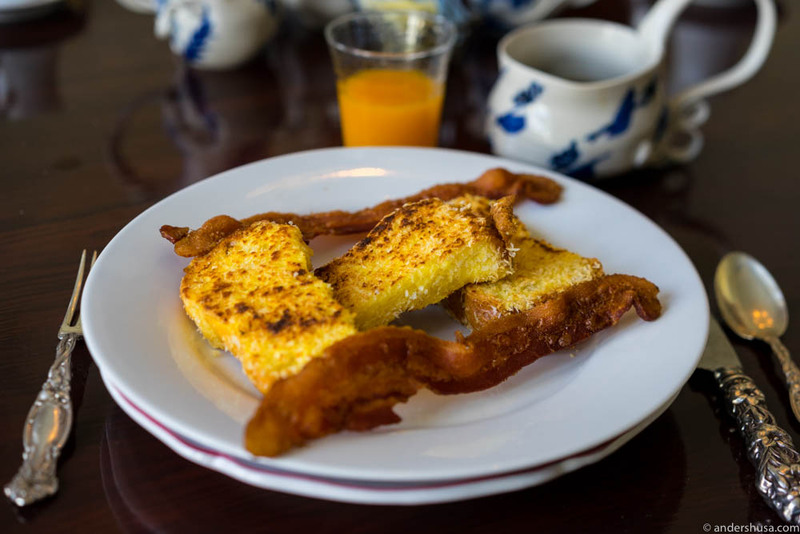 The Parsonage bed & breakfast is located in no. 198 on Haight street, on the corner of Laguna street in Hayes Valley. The location couldn’t be better. You have the young, vibrant and hipster-trendy Mission district to the south. To the west, the Haight-Ashbury district with its hippie vibe. 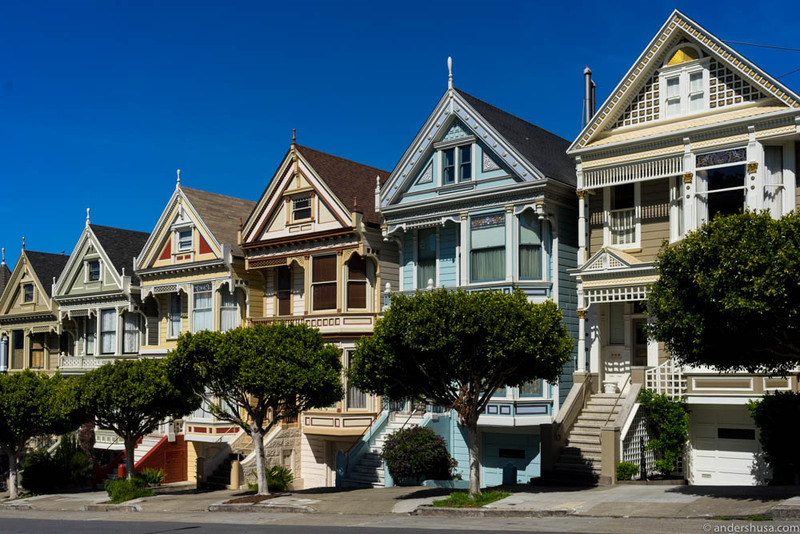 Follow Haight street towards the Golden Gate Park (perfect for an escape on bikes) and the beautiful Conservatory of Flowers, but don’t miss the well-known Painted Ladies near Alamo Square Park on the way. To the east is downtown and the financial center with must-visit-museum SF MOMA, and all you can wish for in shopping and restaurants. Brace yourself for hill-climbing if you head north. 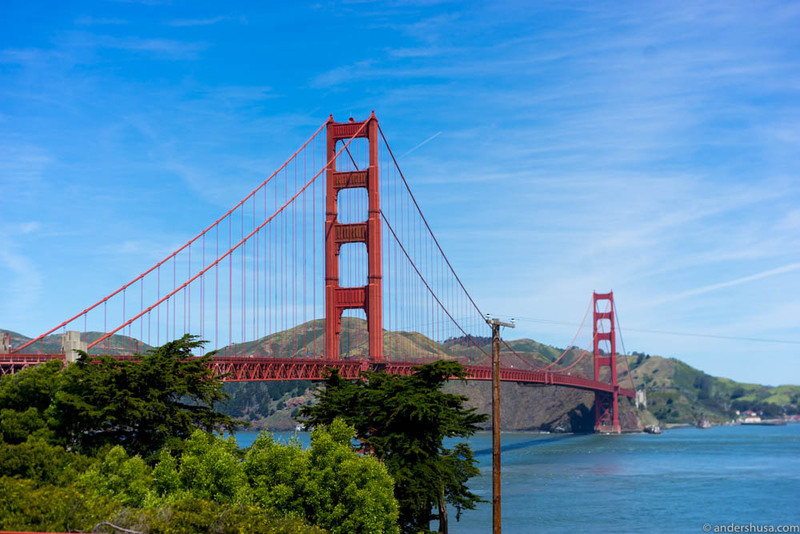 However, if you make it to the top you can enjoy a spectacular view of the city, see the iconic San Francisco streetcars (the world’s last manually operated cable car system), and the famous Lombard street. Further north is the Palace of Fine Arts, and the Golden Gate Bridge. 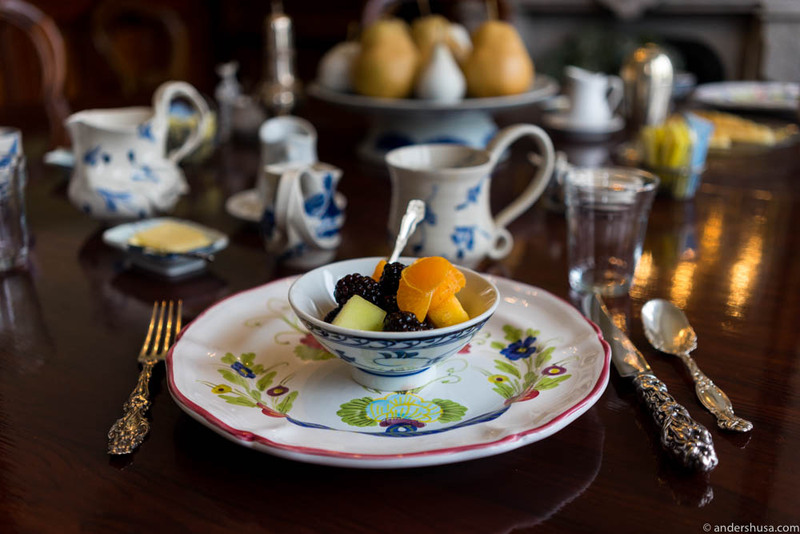 Every morning we would wake up to the most wonderful homemade breakfast served at a big, round dining table in a common room on the first floor. A bowl of fresh fruits awaited us already, either mixed berries and citrus fruits, or all strawberries, with optional yogurt and müsli. Joan or John poured us coffee and offered tangerine juice. The main course changed every day. 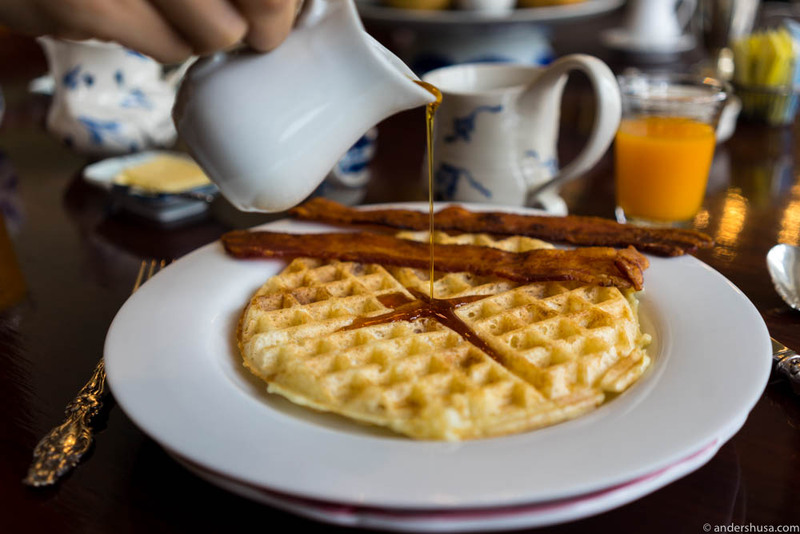 We enjoyed sourdough waffles on day one, made from a starter dating back to Laura’s grandfather in 1956. It came with oven-baked bacon, as crispy as they get, and we topped it with butter and maple syrup. The next morning we got homemade quiche pie with baked cherry tomatoes and slices of butter-toasted sourdough bread from well-known Tartine Bakery. “We have to order it 36 hours in advance,” John told us. The quiche was silky with melt-away custard. Nothing close to the dry, rubbery lumps of an excuse you’re usually served at hotels. We also had french toast with bacon one day, but the real surprise came the morning we departed. Since we had an early flight, we thought we had to leave before breakfast, but Joan had got up early! As if that wasn’t enough, she had prepared a perfect egg soufflé, which she served with coarsely crushed strawberry jam. Imagine that, an egg soufflé! As light and airy as they get, fresh out of the oven. That’s a dish that requires skills to make, and Joan had whipped it up like it was just another breakfast dish. On top of the mantlepiece in the breakfast room was a photoshopped picture of Michelle and Barack Obama standing on the steps of no. 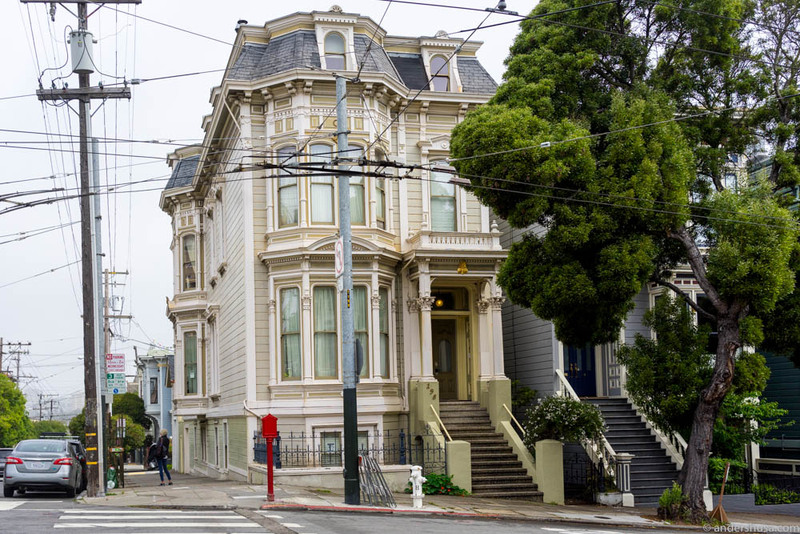 198 Haight street, as well as a picture of the president’s dog Bo. Stuck to the wall outside were posters stating: “Refugees and immigrants welcome here. No Muslim ban. No border wall. 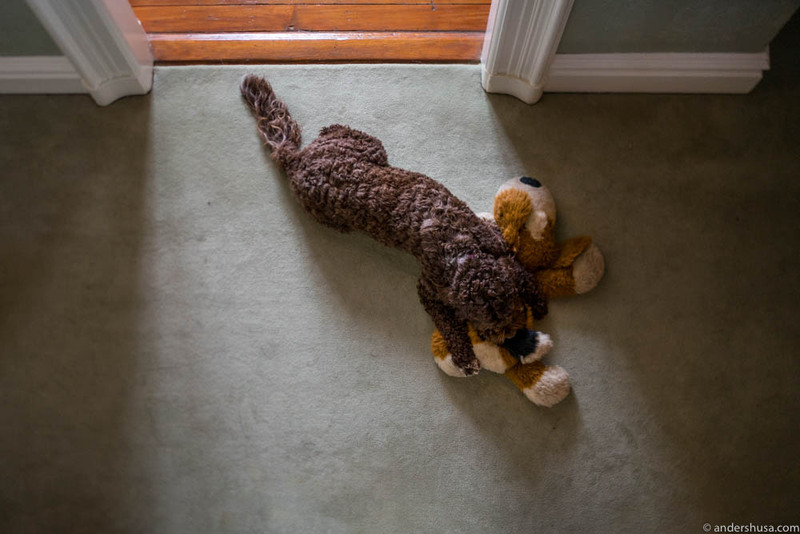 Our cities stand tall.” Inside, Carson was napping on his toy dog. The Parsonage is a peaceful place in all respects. It became our home in San Francisco. Where did you ever experience true hospitality? Please share in a comment below. The suitcases pictured in this article are sponsored products from Samsonite. Joan, I am so happy to hear from you! We miss you guys a lot. Glad that Norwegian guests have discovered your gem of a B&B in San Francisco. We recommend you to everyone we talk to, and we’ll be sure to check in again next time in SF.